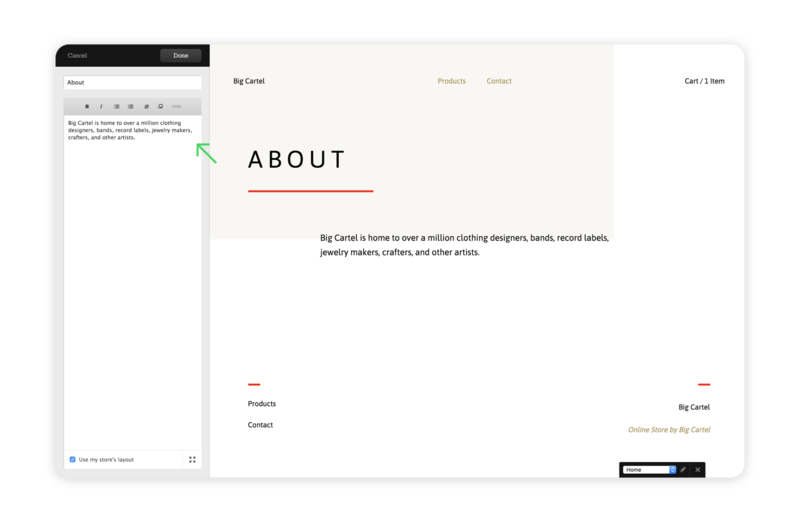 Custom pages are the perfect way to share more in-depth information with customers. 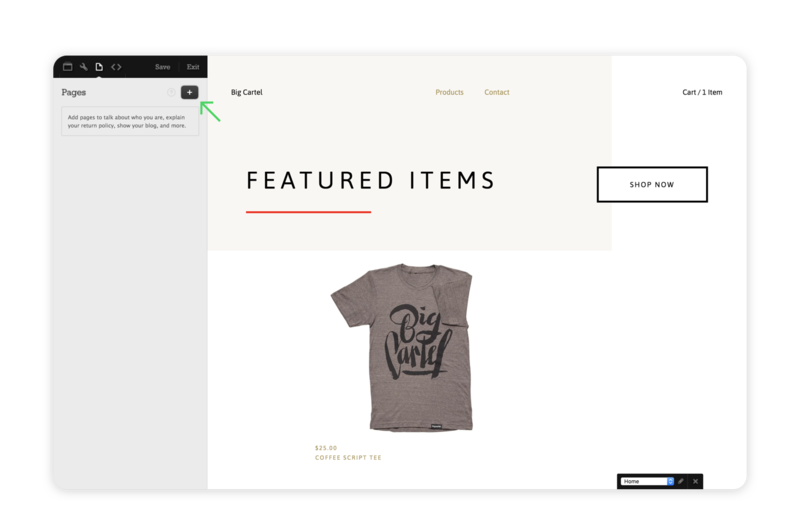 Each one you create is automatically added to your store’s navigation. Here are a few ways to take advantage of this feature in your own shop. Include an About or Bio page to tell your story and show off what makes your shop special. Set up a Frequently Asked Questions or Policies page to give everyone the rundown on what to expect when ordering from you. Put together a lookbook and include shots from your latest collection, all on its own page in your shop. Add an Instagram gallery to display happy customers with your products. Embed a newsletter subscription form in a custom page to collect fans. Share a list of brick-and-mortar shops that stock your goods, with info on how a new retailer can add your work to their inventory. The best part is it’s dead simple to add and edit pages in the Customize design > Pages area of your admin. You can even display externally hosted images and include clickable links without needing to do any coding. So go on, get writing! Name your page and add in your content. Use the editor buttons to drop in links and images, or get fancy by editing in HTML mode. Click Done and Save. Your page link will appear in your store’s navigation.